New Edition! Gain additional body awareness and develop better posture while challenging core strength. 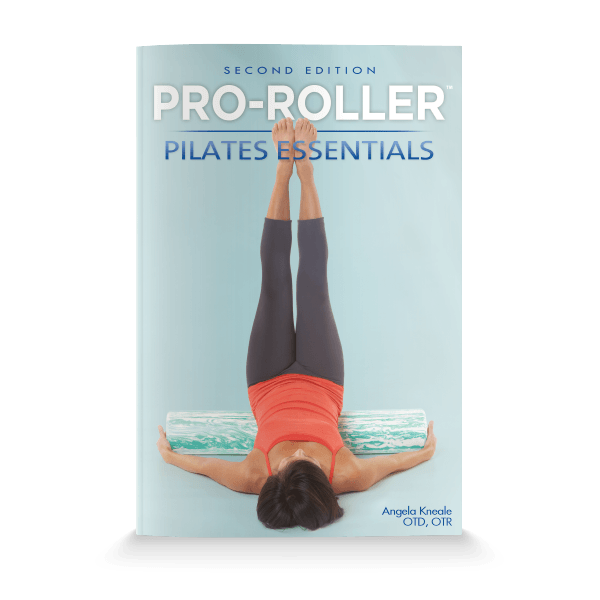 PRO-ROLLER® Pilates Essentials authored by Angela Kneale, OTD, MA, OTR/L, NBC-HWC will help you achieve these benefits by teaching you Pilates exercises utilizing the PRO-ROLLER. 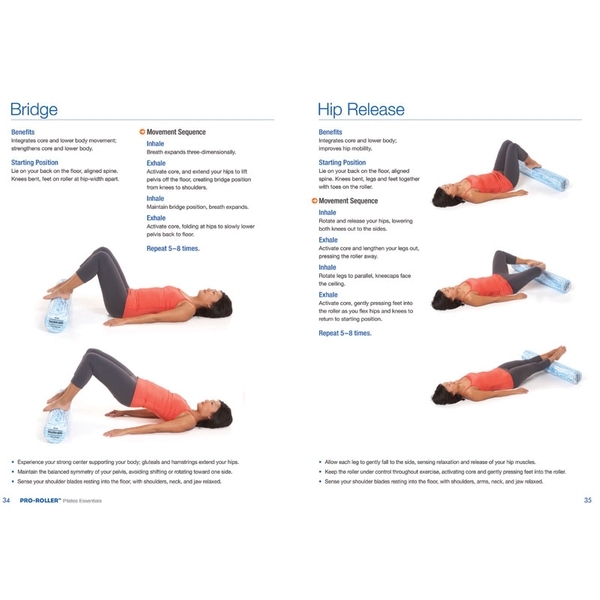 This booklet contains over 30 exercises to increase strength and flexibility while decreasing muscle stress and tension. Includes clear and colorful instructions/imagery. Illustrated. Booklet, 52 pages. This book is an excellent guide for both experienced clinicians and new pro roller users. The book thoroughly explains the Pilates approach using the pro roller and gives easy to follow instructions for each exercise. For new users, the exercises can be followed in order for optimal progression of whole body wellness. The exercises are beneficial for strengthening, balance, control, and alignment. The pictures are excellent examples of proper technique. The instructions are clear. For experiences users, the "at a glance" page is an extremely convenient visual reference for choosing exercises that target specific areas of need such as abdominals and shoulders. Personally, I have found that these exercises have significantly improved my TMJ pain, my core strength and balance. The relatively short time that I spend each day on my pro roller using the techniques that this Author has outlined, has resulted in better posture, increases muscle strength and an overall improved sense of wellness. I would recommend this book to clinicians as well as anyone wanting to establish a home pro roller exercise routine.